Interview: The Flatliners- Playing at Black Cat June 4th! 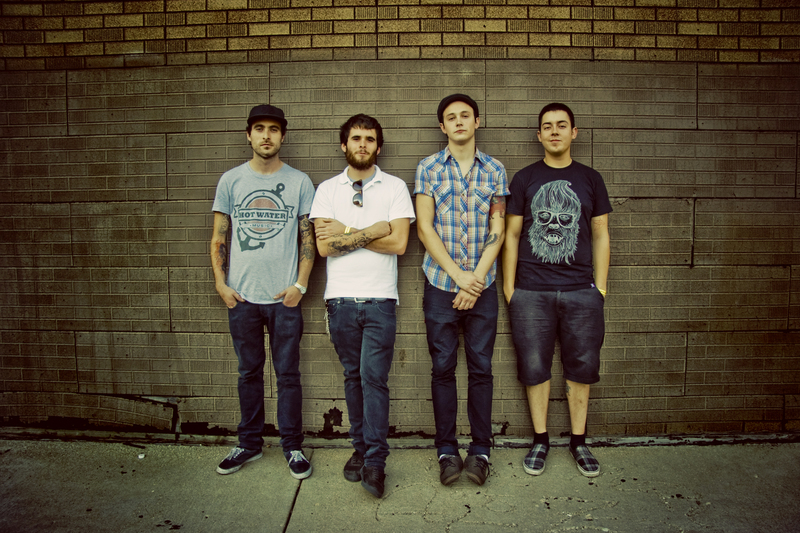 Interview: The Flatliners; Playing @ Black Cat June 4th! Over the last four years, the Flatliners have spent almost thirty months in vans, dive bars, and concert halls across North America, Europe, and Japan, building up a dedicated following with a sound that mixes the endless fury of ‘90s skate punk with the nuanced, intelligent songwriting of classic post-punks like the Replacements and Hot Water Music. After seven years playing together, they’re unleashing Cavalcade, their third full-length record and an epic sonic testament to the life they’ve chosen. Seeking to immortalize the last year of their lives on the road, the end result is easily the band’s finest hour; from the thrashy immediacy of “The Calming Collection” to the dub-influenced “He Was A Jazzman”, it’s the sound of a band hitting their stride musically and finding their voice lyrically, exploring the idea of unity through disconnectedness, of positivity in uncertain times. We caught up with the band before they hit the Black Cat next week, June 4! Check out what they had to say about their dream gig, the band’s name and their upcoming plans! What has been one of your most memorable gigs thus far? I can only conclude that the most memorable gig we’ve ever played was the one where the four of us collectively drank the least before we played, I’d say. And that’s by comparison of course. I never knew booze made the memory such an untrustworthy foe. Who came up with the name The Flatliners and where does the name come from? Name the top 3 bands/artists that inspire the band musically. The Clash. Rocket From The Crypt. Jermaine Dupree. What is your dream gig? Venue? Lineup? We’ve been extremely lucky and honoured to have played with tons of bands that have inspired us over the years. At this point my dream gig would be in an above-ground pool full of artichoke dip. Just ’cause. How do you connect with a crowd? We typically connect with the crowd through the magic of electricity and a PA system. The most fun is when people hop on stage and sing along. It makes me happy to see people sing along, and also they are providing me with a short break from yelling, which is very thoughtful of them. Name the top 3 songs on your current playlist. What are the band’s plans for the remainder of 2013? We have a Split 7″ with Make Do And Mend coming out on June 18th via Rise Records. We’ll be releasing our 4th full length album in a few months. We’ll continue to tour like dogs and carve out a little hole for ourselves. And smile doing it. Catch the Flatliners playing at the Black Cat on Tuesday, June 4th! Tickets below!